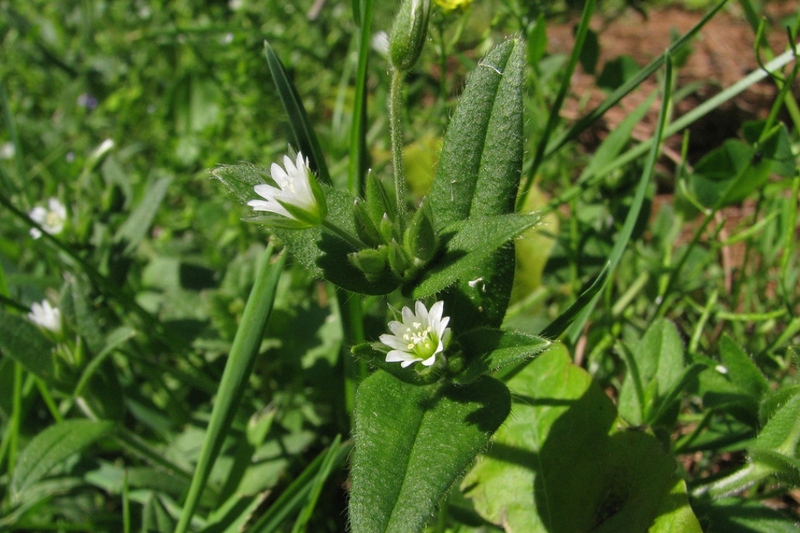 Mouse-ear chickweed (Cerastium fontanum): identify and learn about your plants with Groww. 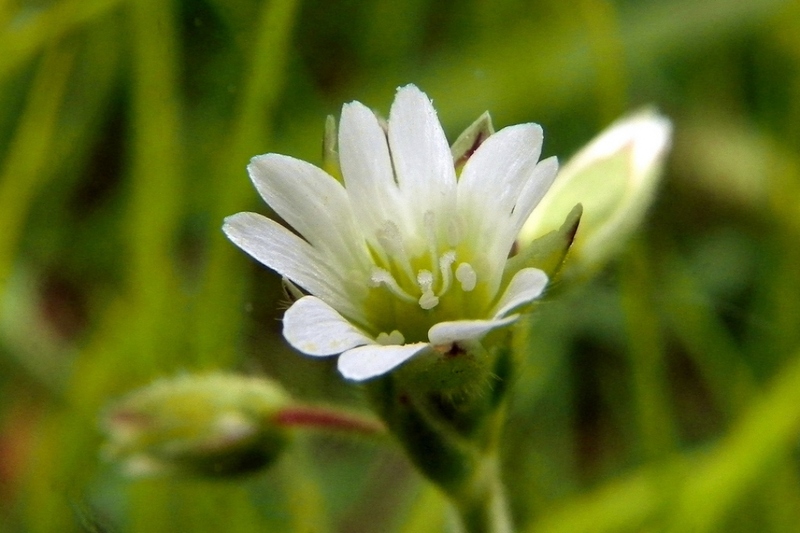 Cerastium fontanum - mouse-ear chickweed - is a species of mat-forming perennial or, rarely, annual plant, native to Europe but introduced elsewhere and common in grassland and along roadsides. 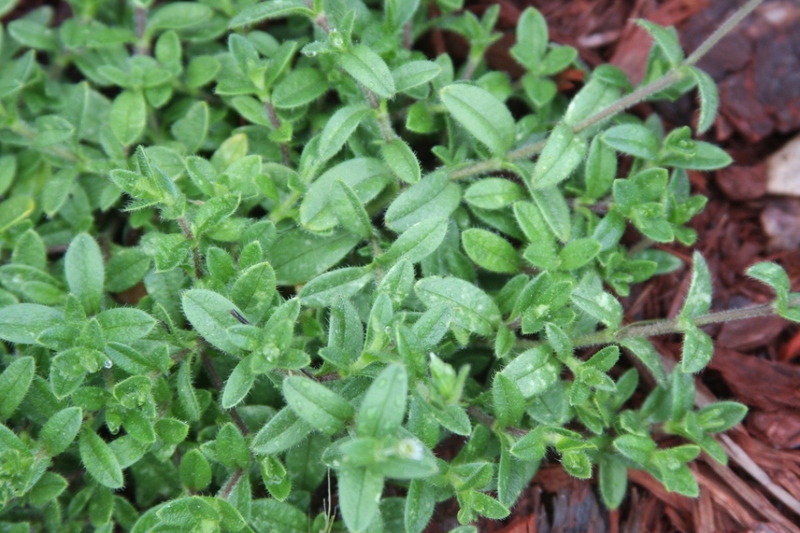 Its identifying characteristics are tear-shaped leaves growing opposite one another in a star pattern, hairy leaves, and small white flowers. 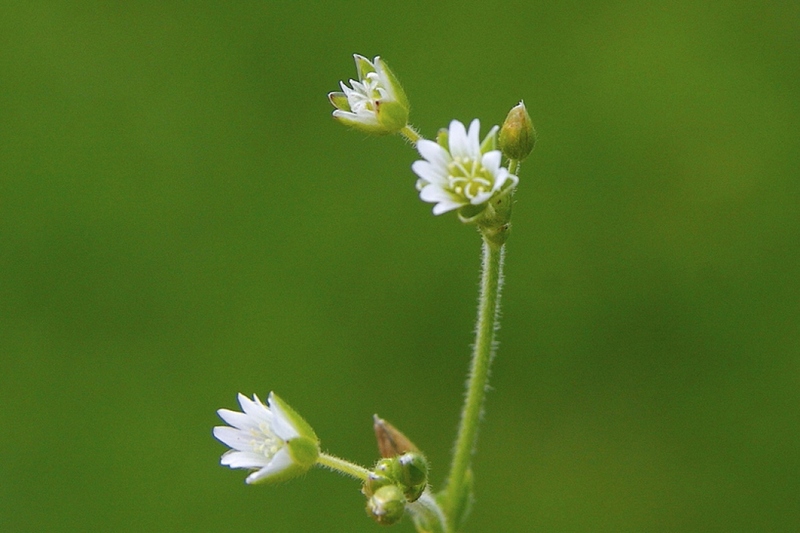 Mouse-ear chickweed typically grows to 4"-8" tall and spreads horizontally along the ground via the formation of roots wherever the stem falls over and contacts the ground.